There is one thing that is guaranteed to drive debate in every household across the UK at Christmas, and that’s Brussel Sprouts. 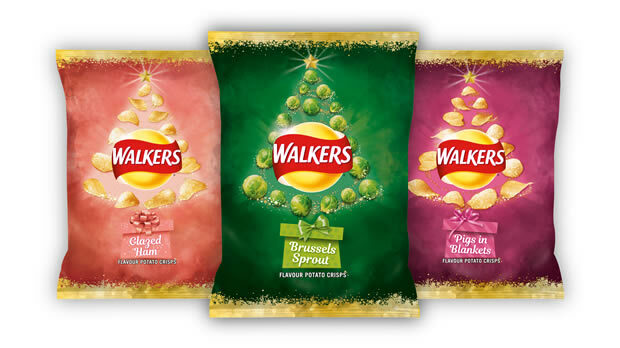 With this in mind, Walkers, the nation’s favourite crisp brand, is launching a new festive range of Christmas dinner flavours, including the first ever Brussel Sprouts flavoured crisp. The flavours also available in single-serve packs are Turkey & Stuffing, Pigs in Blankets & Brussels Sprouts. The limited edition range will be available from Monday 15th October. To further celebrate the launch, in-store marketing, TV, digital and PR activity will also follow to ensure shoppers don’t miss the latest innovation from Walkers.